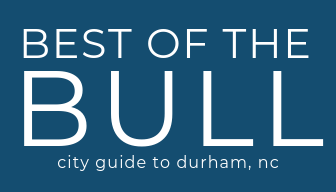 Durham, N.C. [February 21, 2019] – Celebrating the 15th year since its inaugural event in 2004, Moogfest returns to Durham, NC on April 25–28 to honor the innovative spirit of sonic pioneer Bob Moog. The first wave of Moogfest’s 2019 lineup celebrates artists from the festival’s 15 year run, introduces new talent who are creating the sounds of tomorrow, and reaffirms the intimate, artist-attendee connection for which the festival is known. Joining Moogfest’s electronic odyssey for the first time are GAS, the best-known alias of hyper-prolific composer and Kompakt co-founder Wolfgang Voigt; polymathic songwriter and producer Kimbra; and Herzblut Recordings founder and techno producer Stephan Bodzin. Moogfest welcomes back ambient experimentalist Tim Hecker, who will be joined by The Konoyo Ensemble, idiosyncratic electronic composer Matthew Dear, and Swedish techno minimalist The Field. Moogfest again explores the boundaries between artist and audience through an interactive daytime program of workshops, masterclasses, and two-way conversations. This year features a creative exchange with Martin Gore of Depeche Mode. As a platform for sonic experimentation, Moogfest invites artists to express themselves in new formats and debut new works. This year will see the return of the staple longform Durational Performances. Noise veterans A Place to Bury Strangers and IDM artist, sound designer and coder Richard Devine will each present four-hour performances. Iconoclastic ambient and musique concrète composer William Basinski, who has sampled the sounds of black holes colliding, will lead this year’s Sleep Concert. Also joining the 2019 lineup are songwriter, beatmaker and label boss Suzi Analogue; avant garde composer Lucrecia Dalt; R&B futurist Ouri; upstart Raleigh-born rapper and producer Mez;darkwave duo Minimal Violence; polyglottic analog synth-pop artist Ela Minus; post-rave renegade and modular enthusiast Baseck; pop experimentalist Meghan Remy’s project U.S. Girls; breakout film score composer Drum & Lace; sound designer LP Giobbi; electro-thrash provocateurs Fartbarf, interdisciplinary performance artist Lisa E. Harris; visual artist and producer Debit; and techno DJ, producer and Fever Am label owner Mor Elian. Moogfest’s unique format of daytime presentations and nighttime performances also offers an unprecedented platform for artistic discovery, inviting audiences to step inside the creative machine and learn the process behind the production. Two artists at the forefront of artistic education, Cuckoo and Mylar Melodies, will each lead workshops and performances. With a special focus on output that blurs divisions and defies categorization, the festival also welcomes the thought-provoking work of multimedia musician and comic McQueen. Upcoming announcements will complete the full 2019 performer and presenter lineup and detail the wide range of experiences attendees can look forward to at Moogfest including this year’s Spatial Sound performances and artist-led workshops. At Moog’s Pop Up Factory, Engineer Workshop passholders will delve into synthesis at the foundational level and come away with their own hand-built, limited-edition, unreleased Moog synthesizer. Durham’s American Tobacco Campus will once again host interactive music technology exhibitions in the Modular Marketplace, including the Moog Circuit Bending Challenge and the presentation of this year’s Moog Innovation Award. World-renowned instrument designers, futurists, creatives, entrepreneurs, scientists, pioneering educators and thought leaders from across the social spectrum will participate in keynotes and daytime presentations that will complement local artist programming and free outdoor events open to audiences of all ages. Now in its 15th year, Moogfest continues to distinguish itself as the destination festival for the synthesis of music, art, and technology. A limited number of tickets remain on sale. More info is available at Moogfest.com.